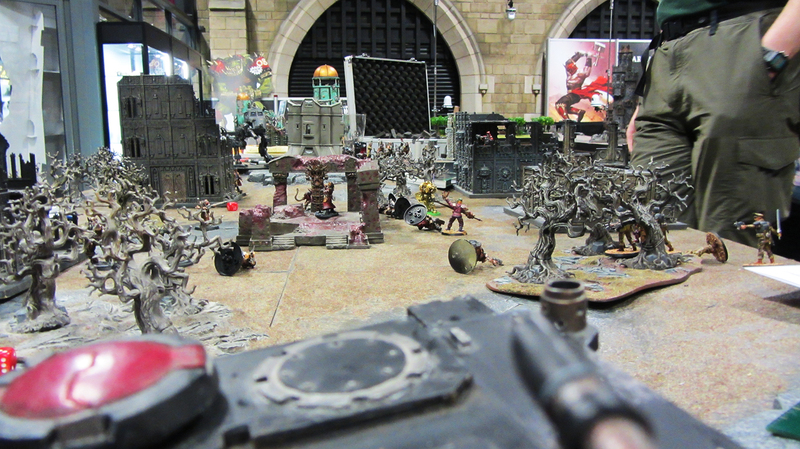 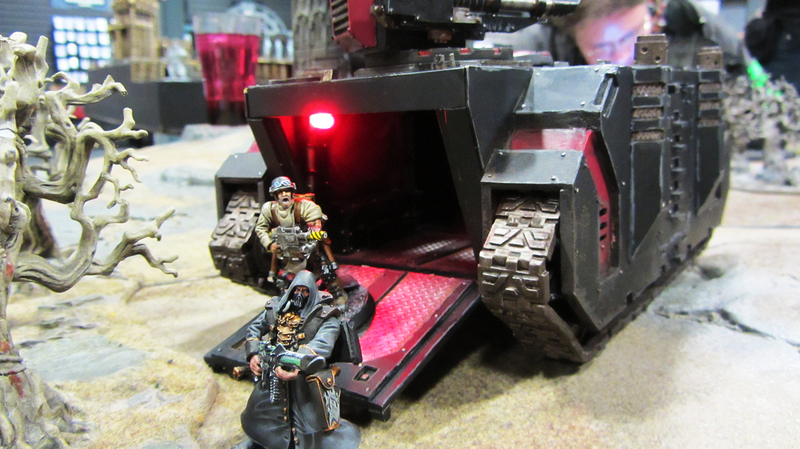 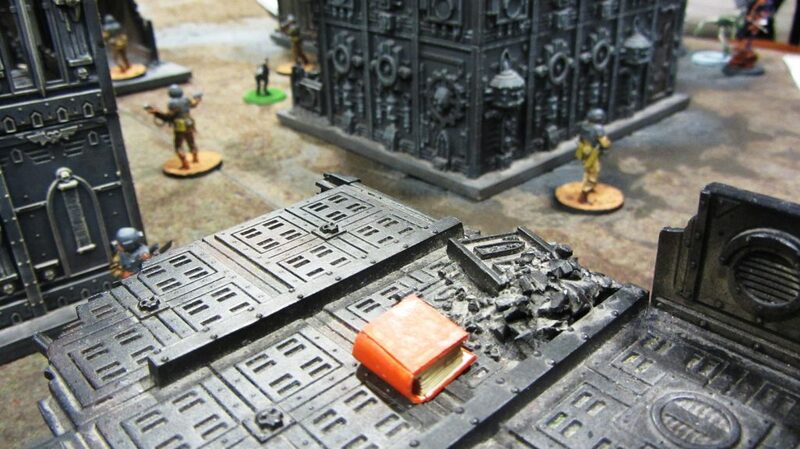 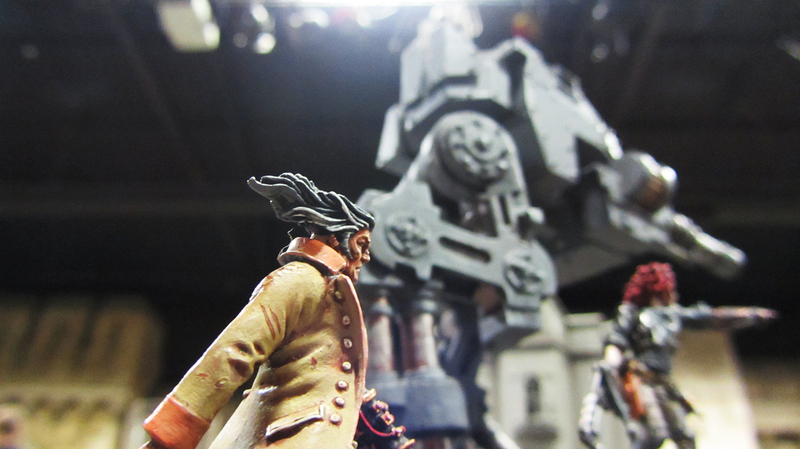 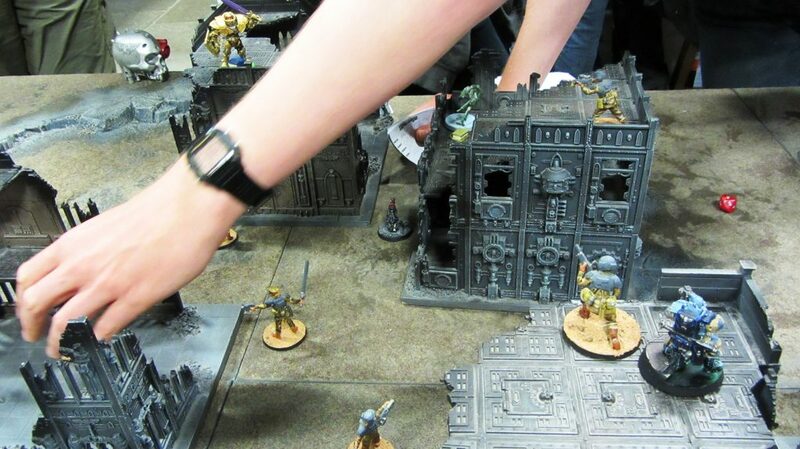 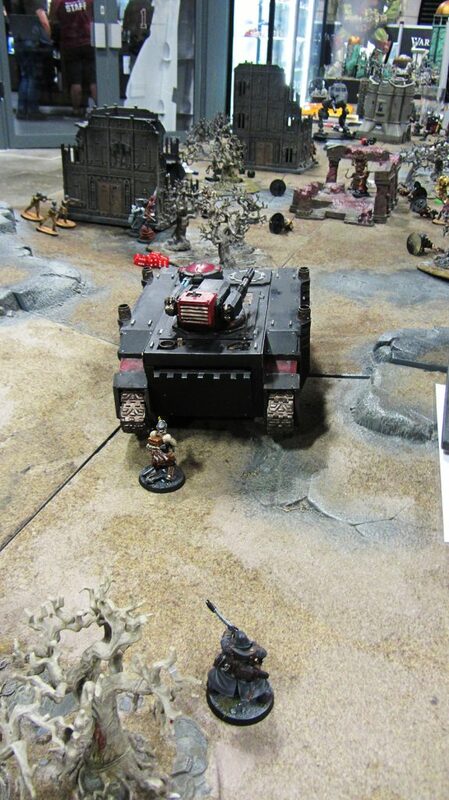 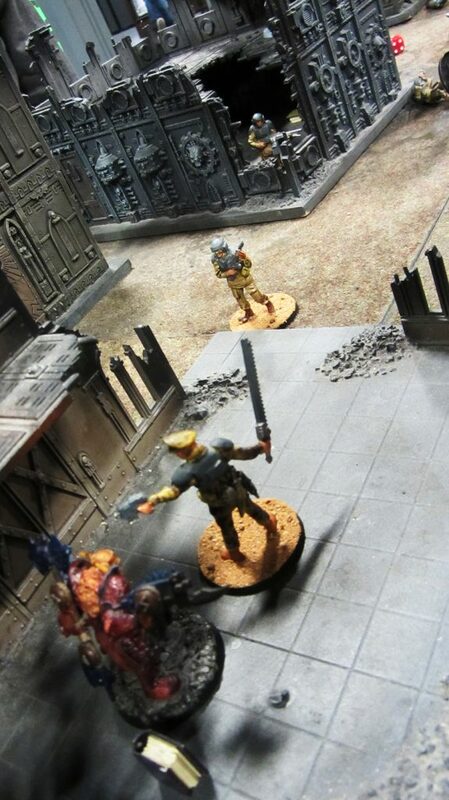 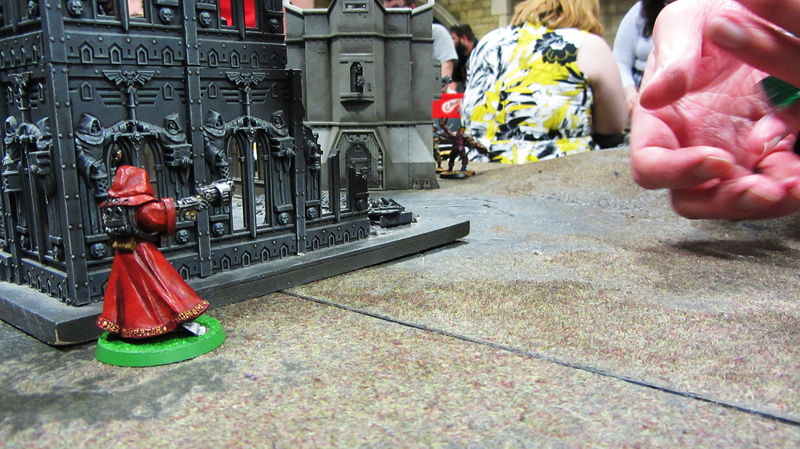 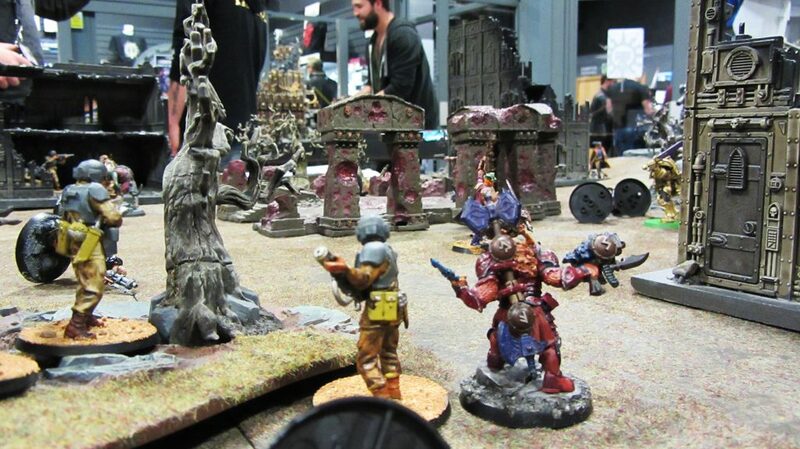 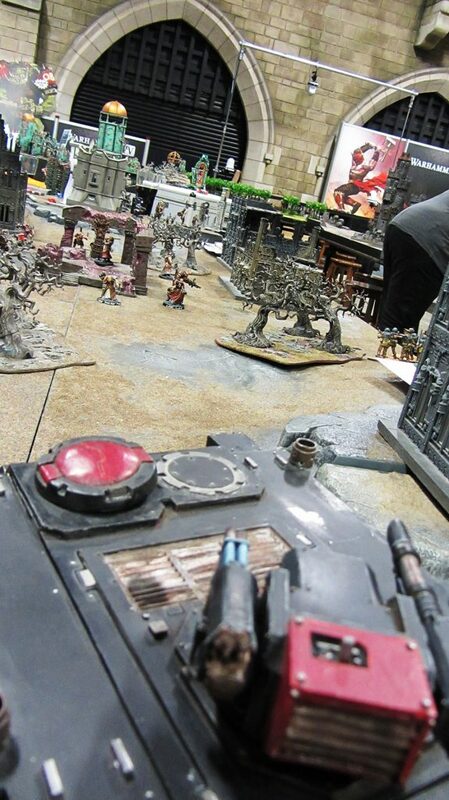 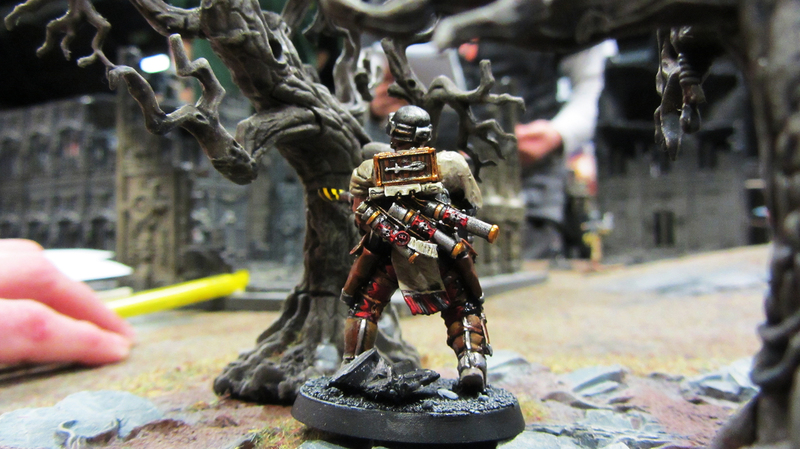 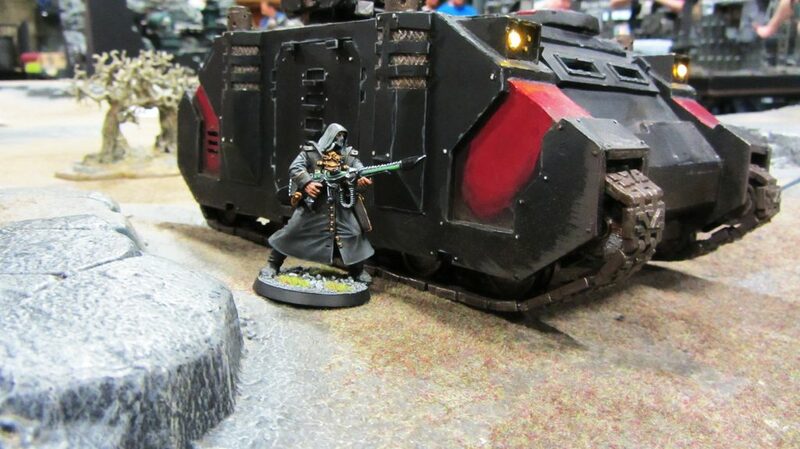 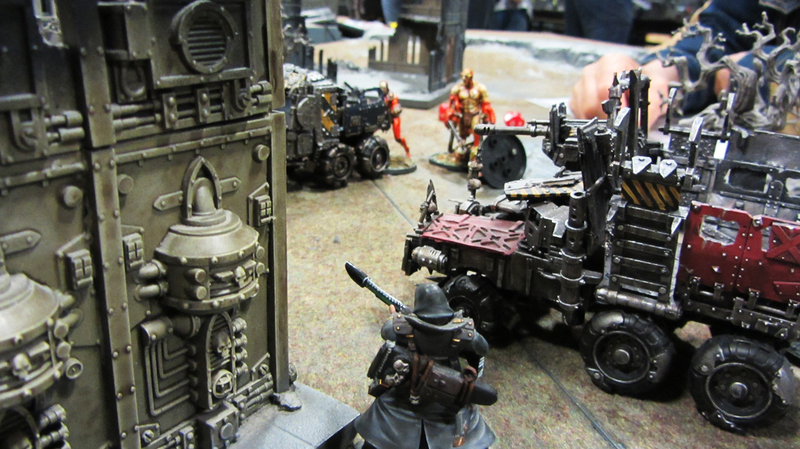 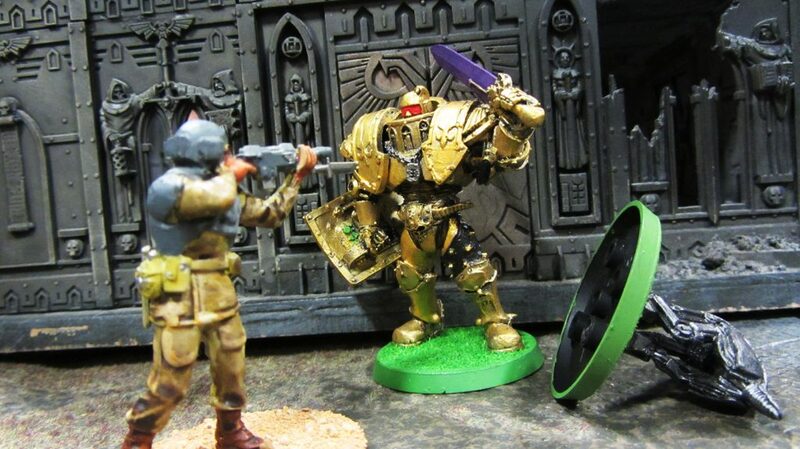 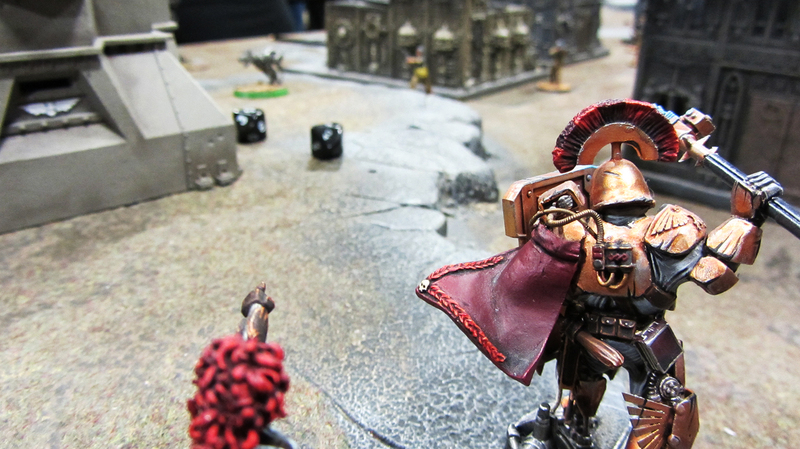 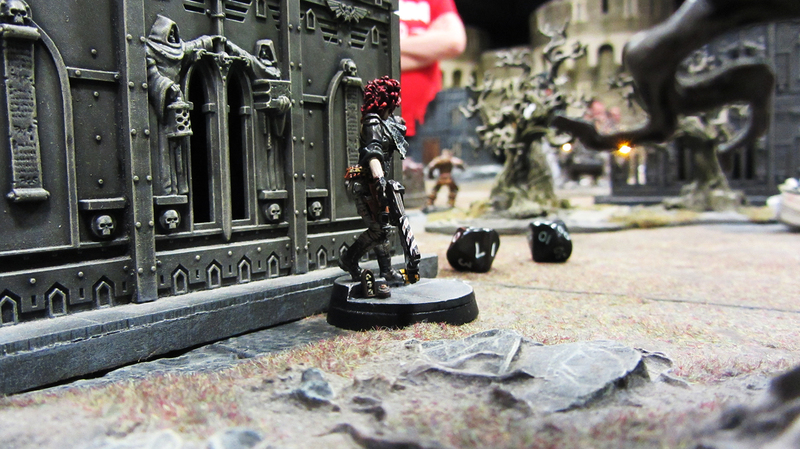 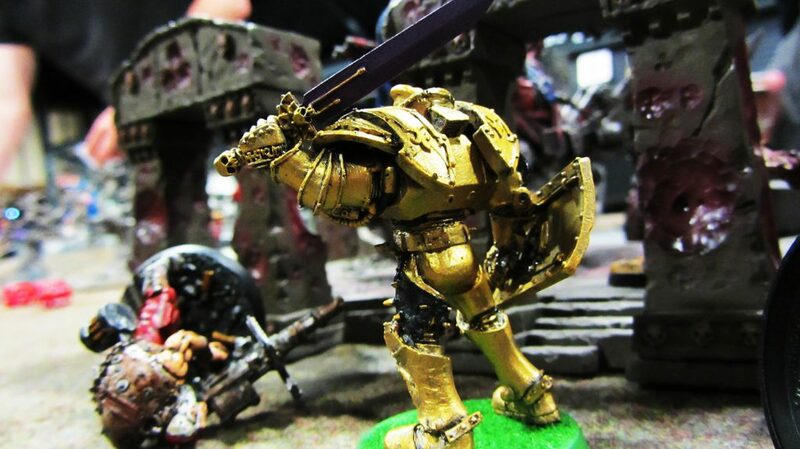 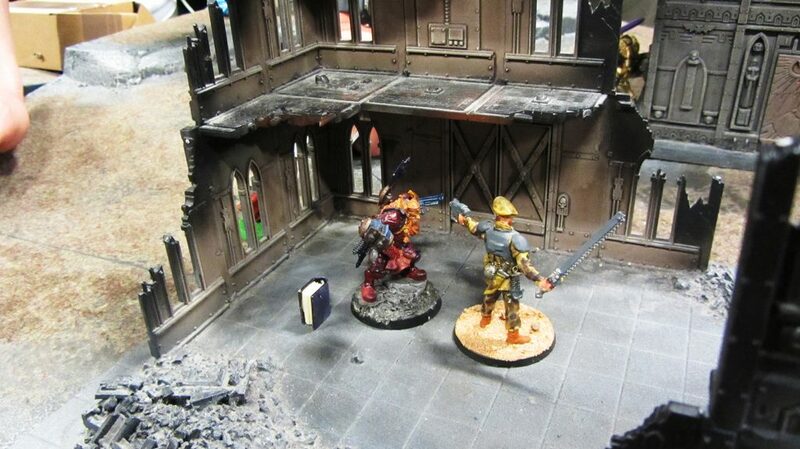 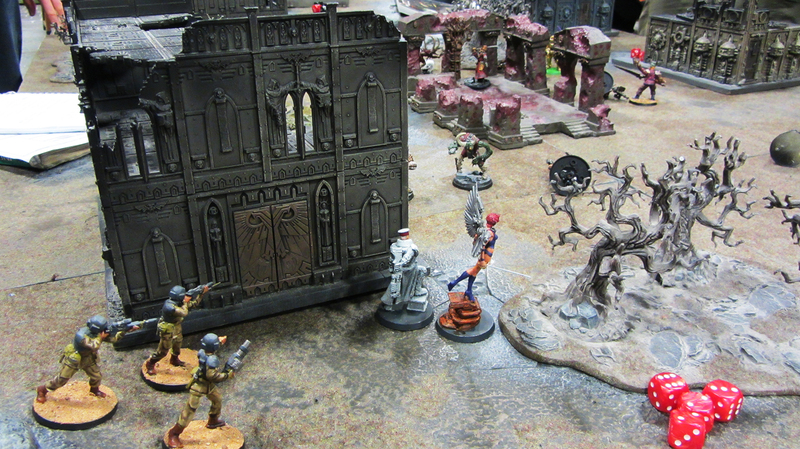 Inquisitor is a 54mm scale narrative skirmish wargame set in the Warhammer 40,000 universe. 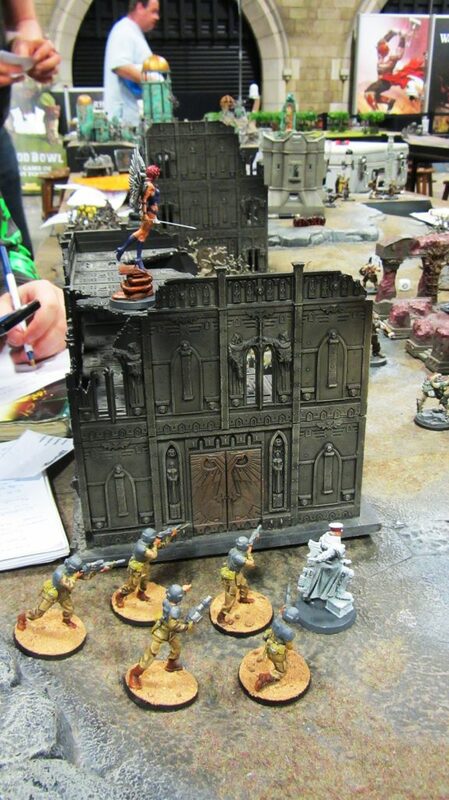 You create a warband of hardy Inquisitorial acolytes, lawbringers or ne’er-do-wells and slug it out across dramatic landscapes in high stakes scenarios. 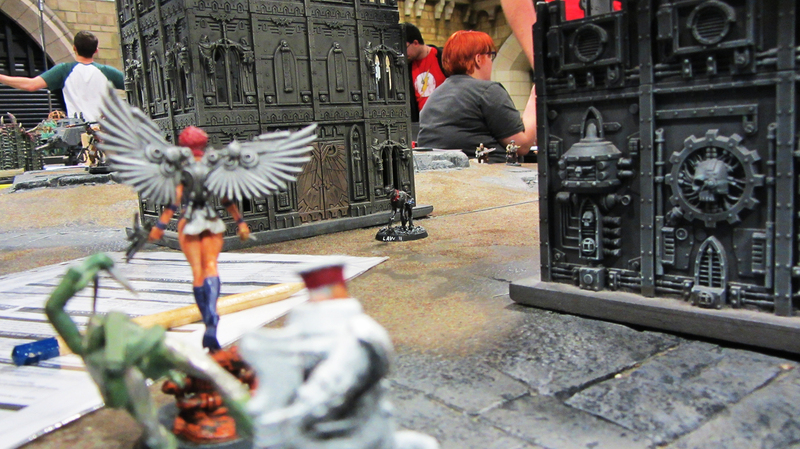 It is the spiritual predecessor of the 40k RPG lines, as many of their game mechanics are based heavily off the Inquisitor ruleset. 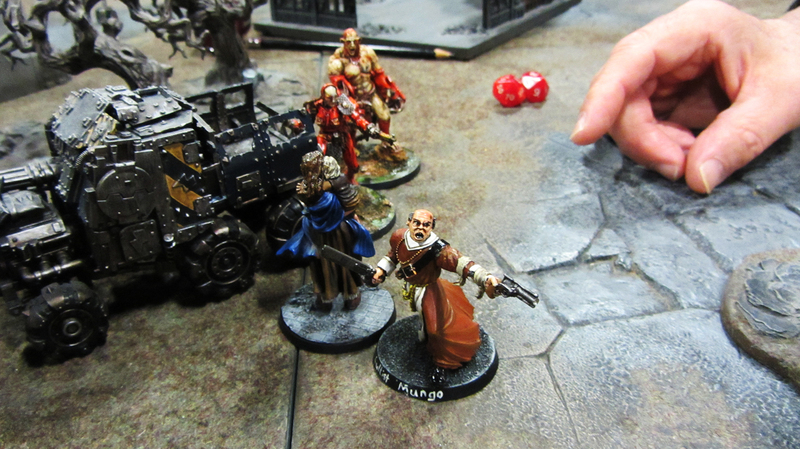 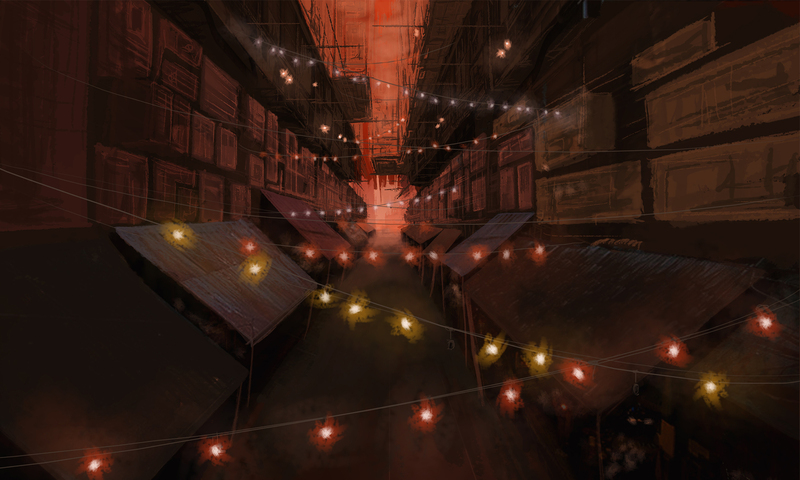 “The Wastes” was a one-day event run by members of the Conclave, the official Inquisitor online community, and we were honoured to be joined by the Lord-Remembrancer himself, John Blanche. 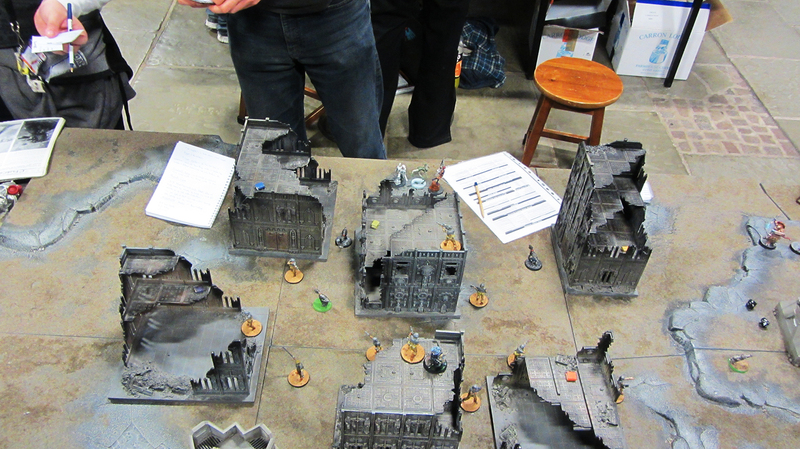 Each player brings a warband (or borrows one off a friend) and has a briefing to help set the scene. 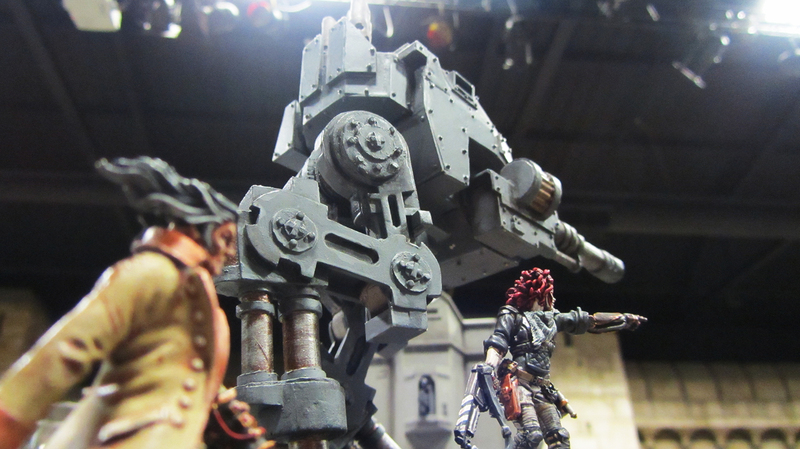 You can download the original briefing pack here. 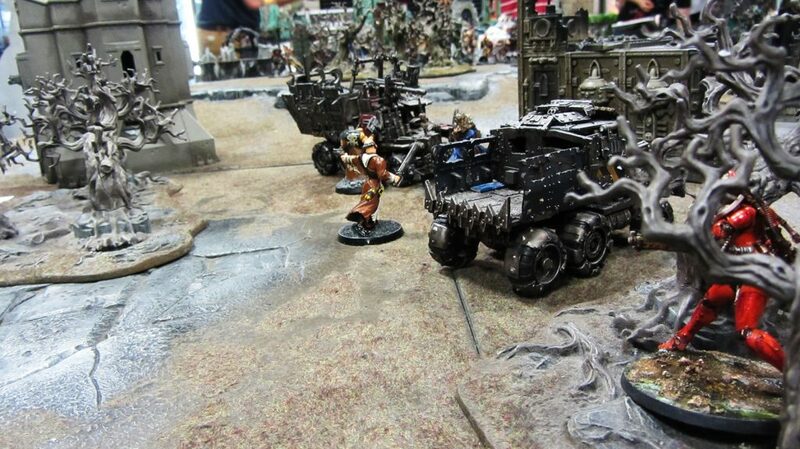 A person of interest and his convoy break down in a sandstorm, unaware of who is closing in. 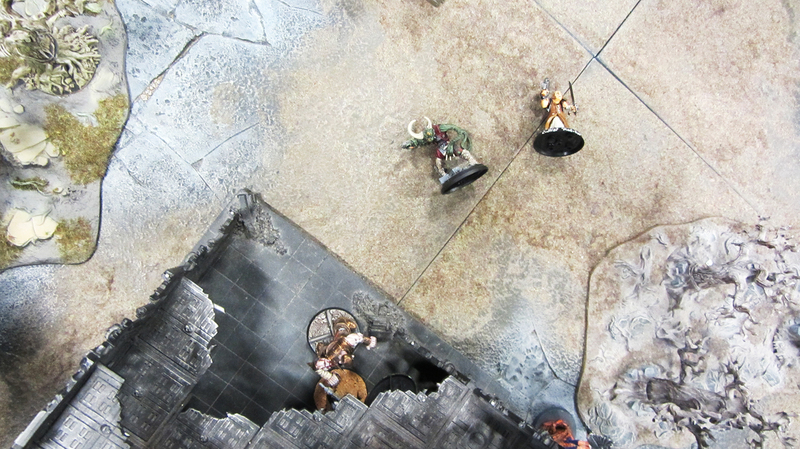 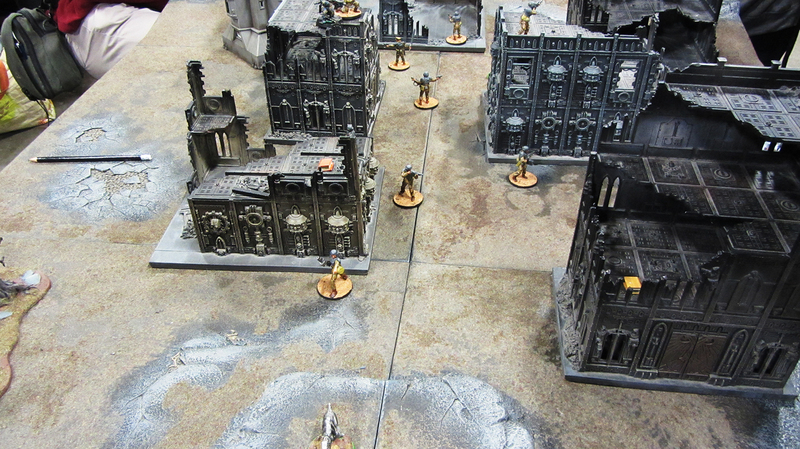 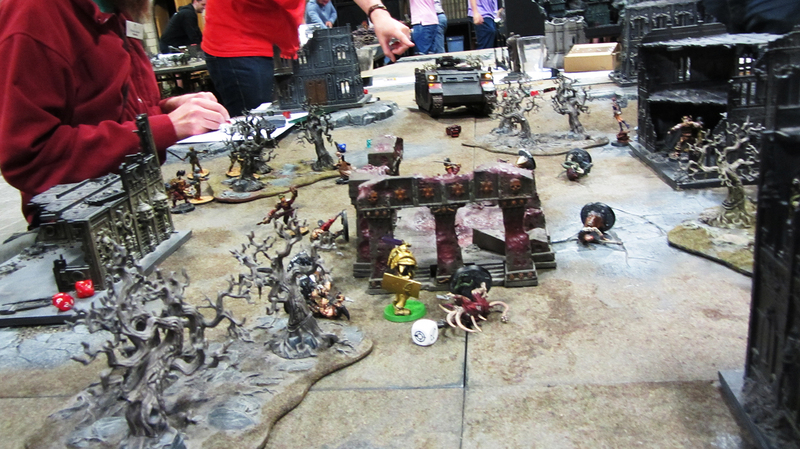 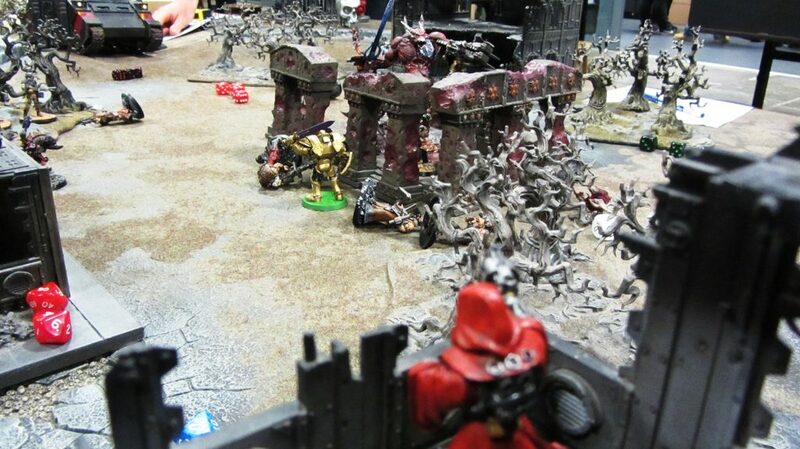 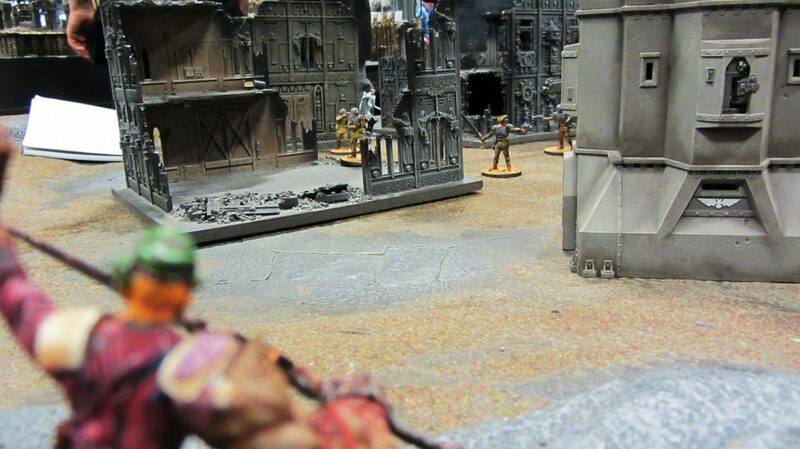 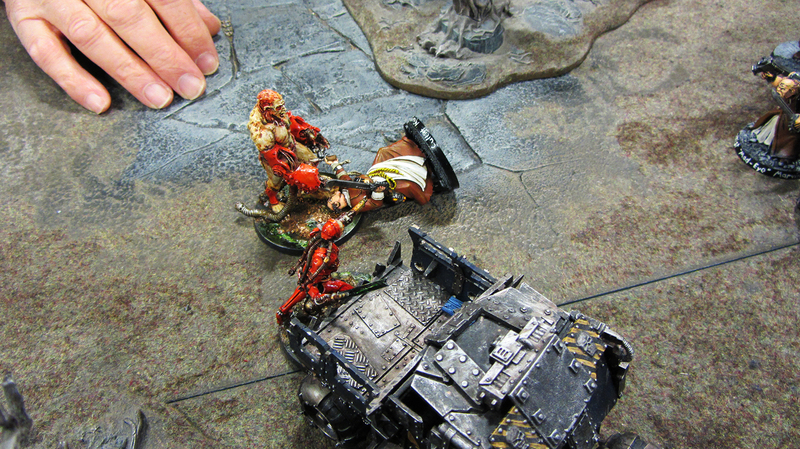 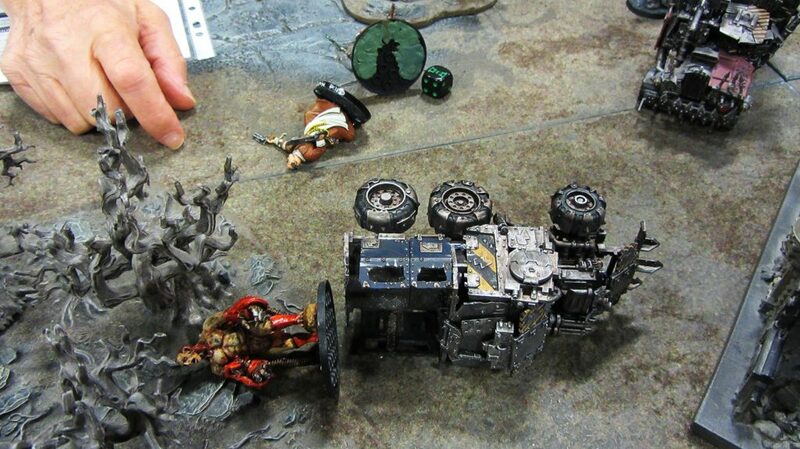 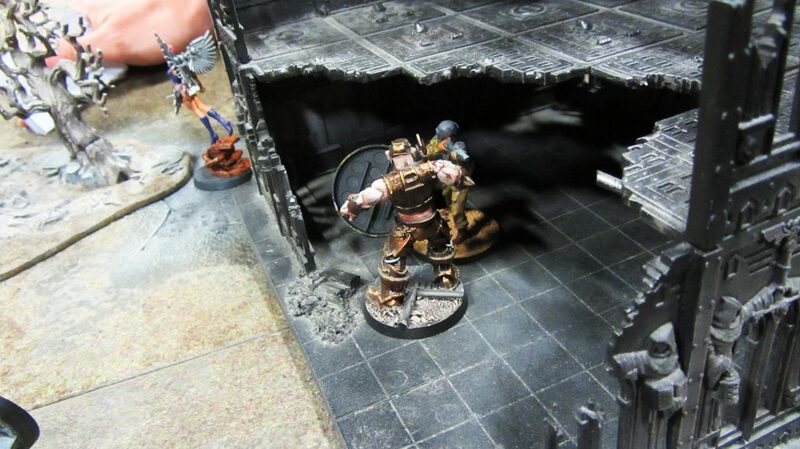 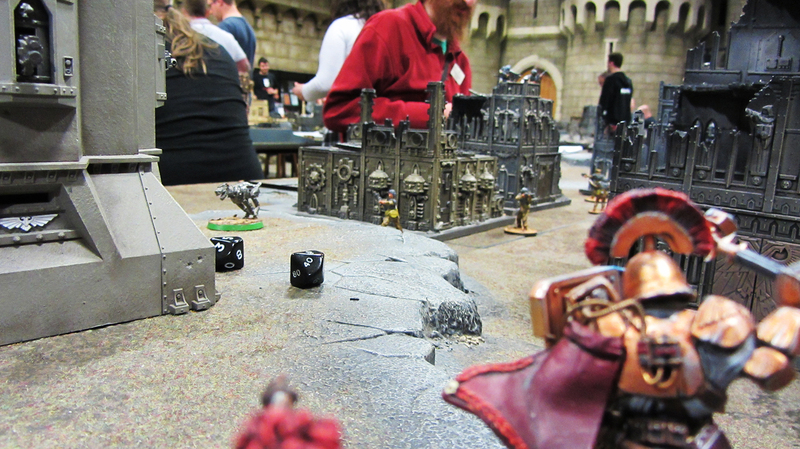 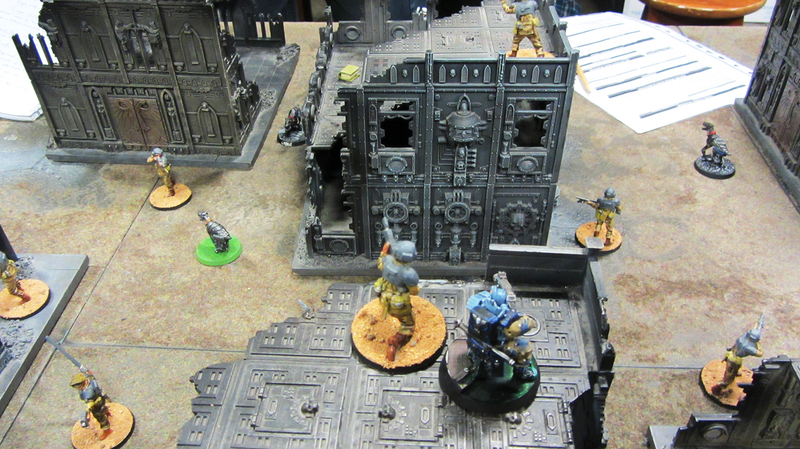 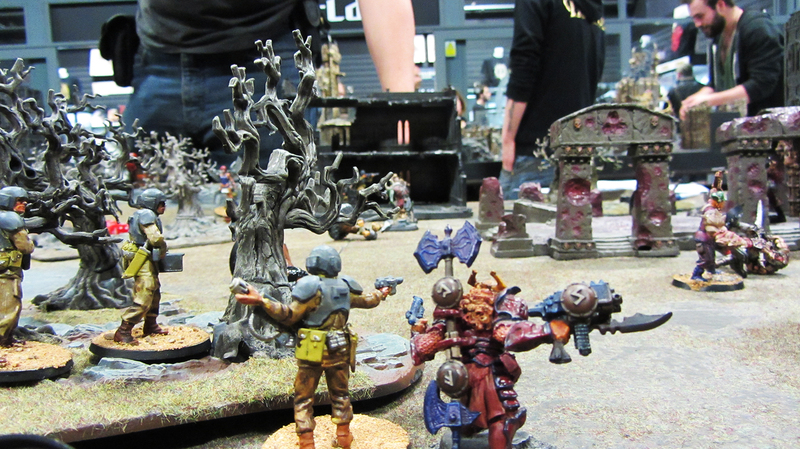 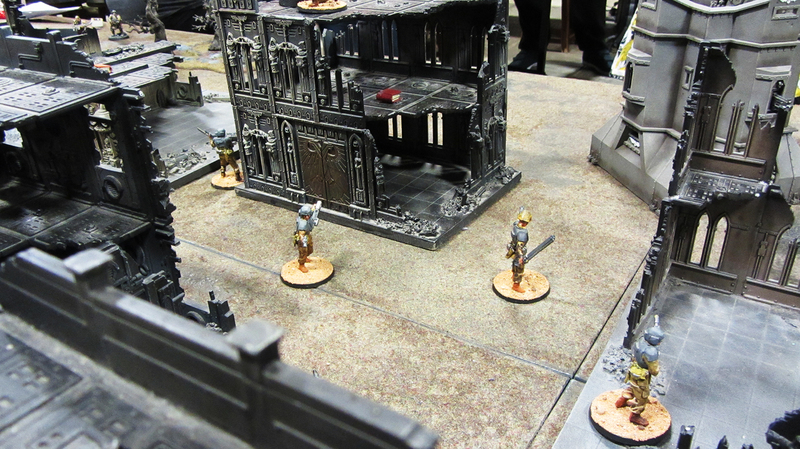 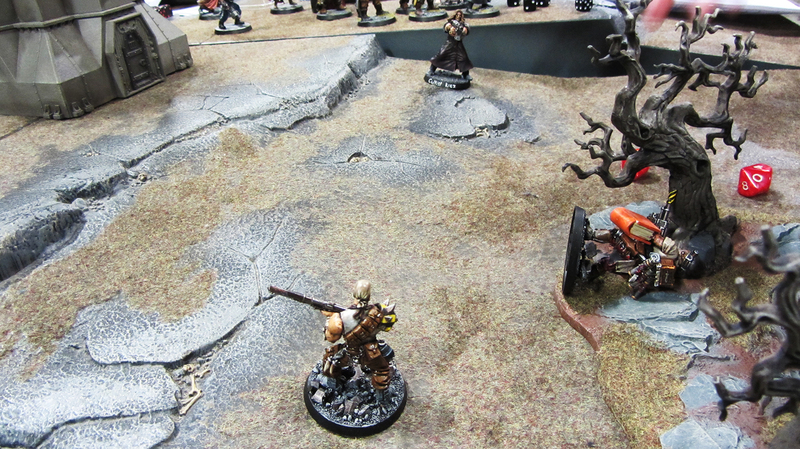 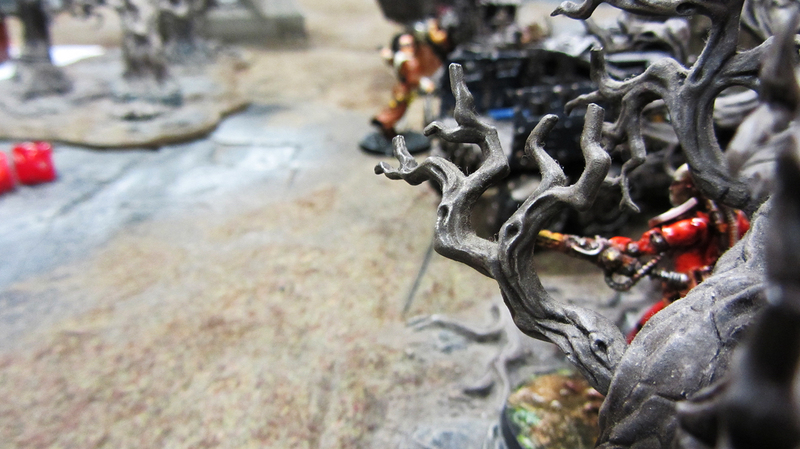 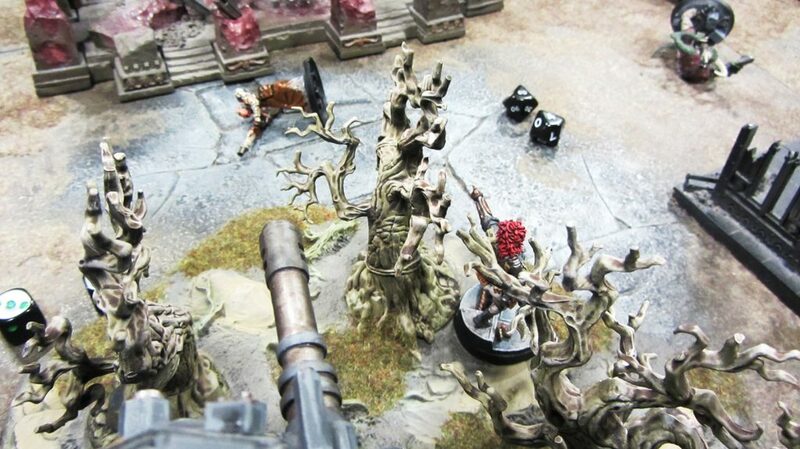 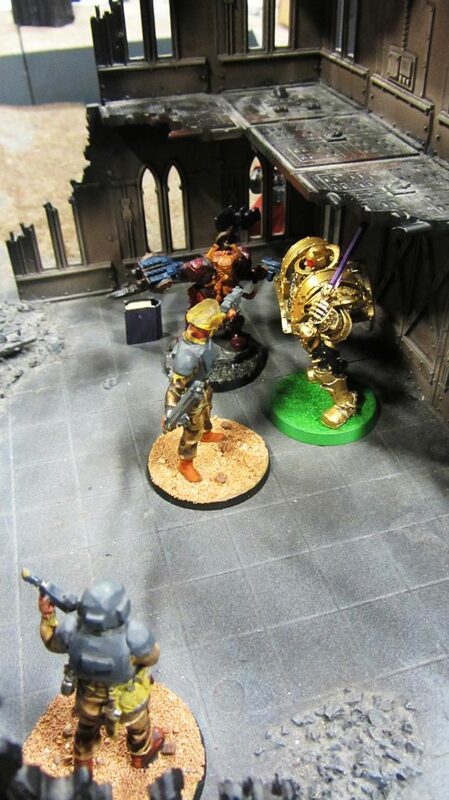 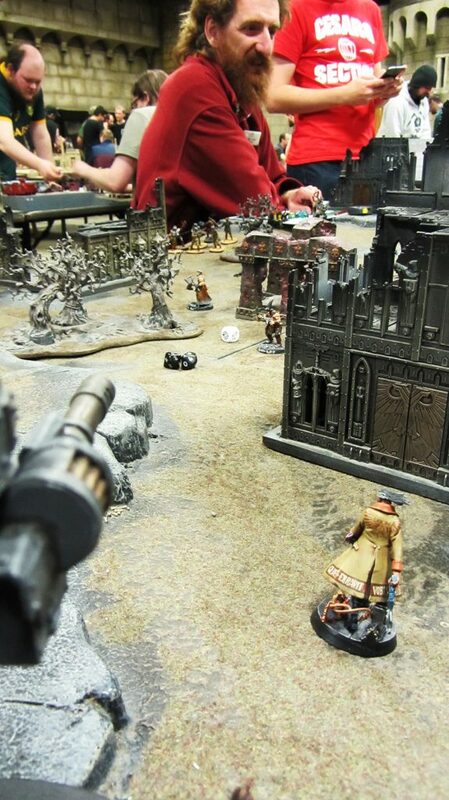 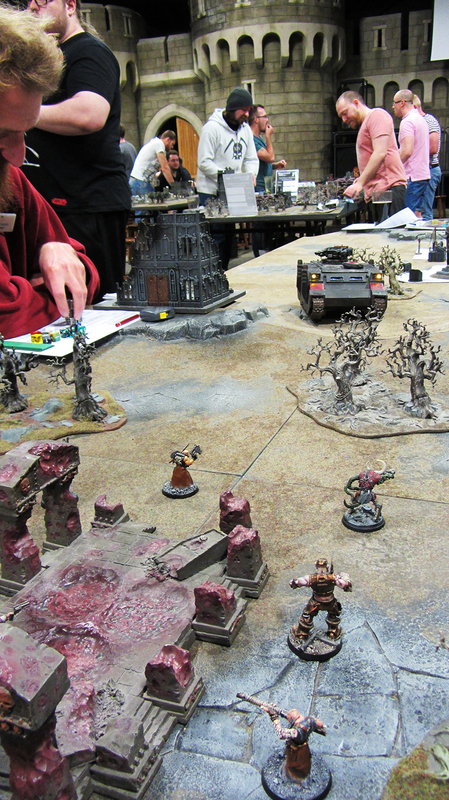 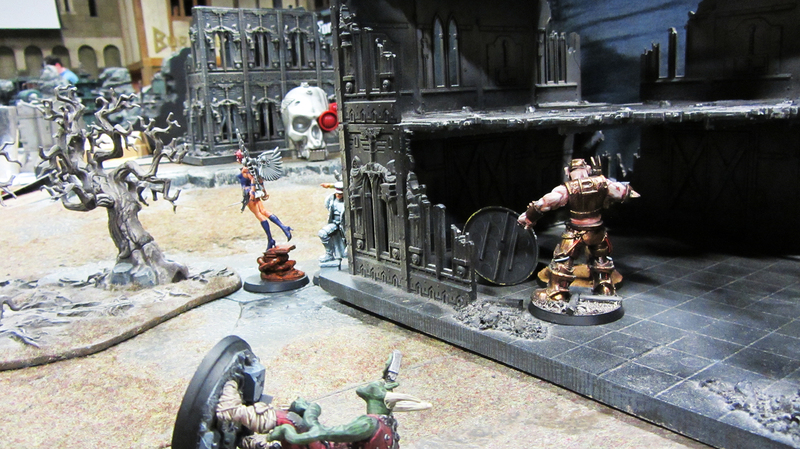 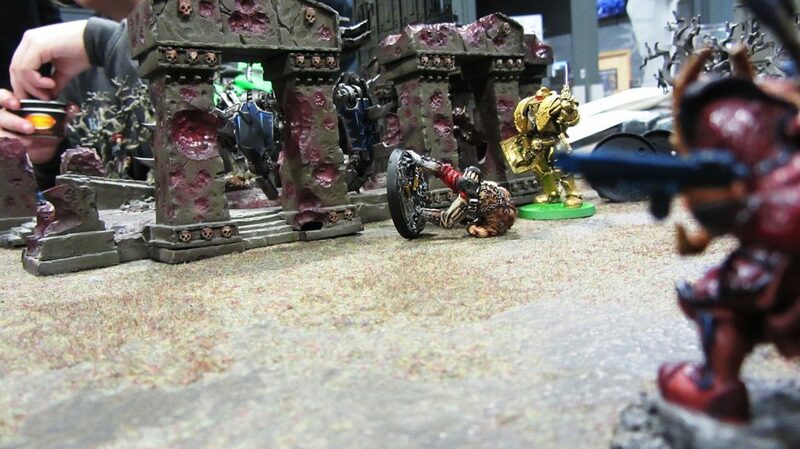 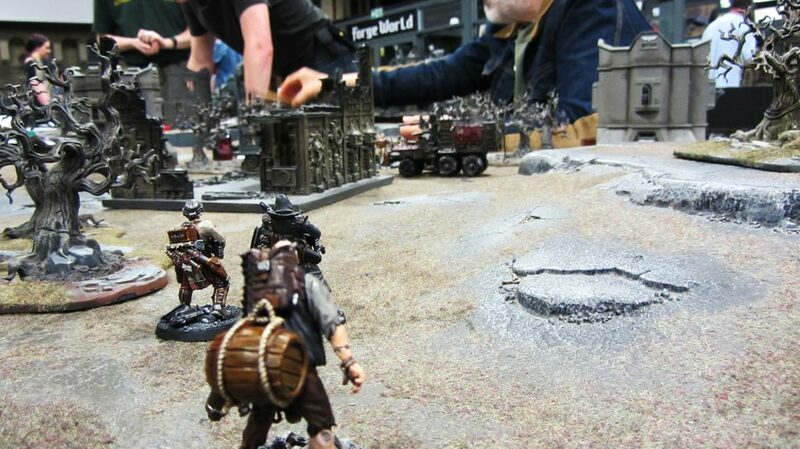 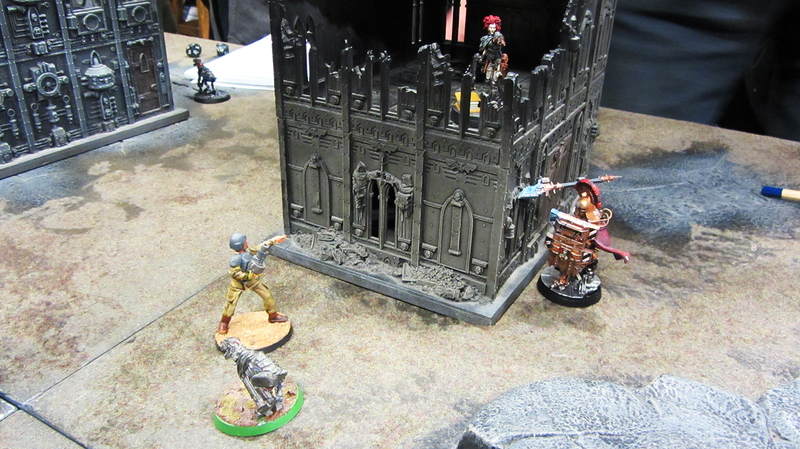 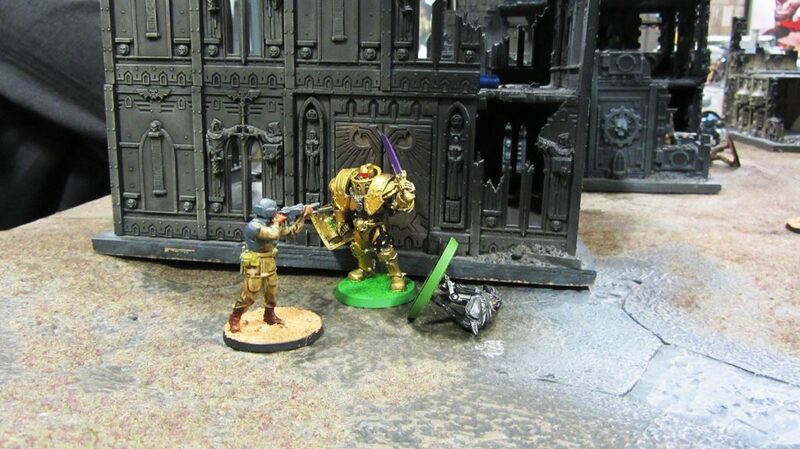 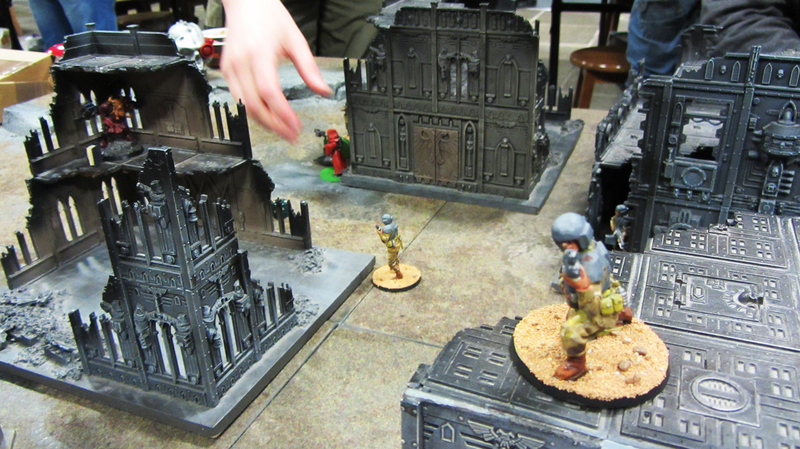 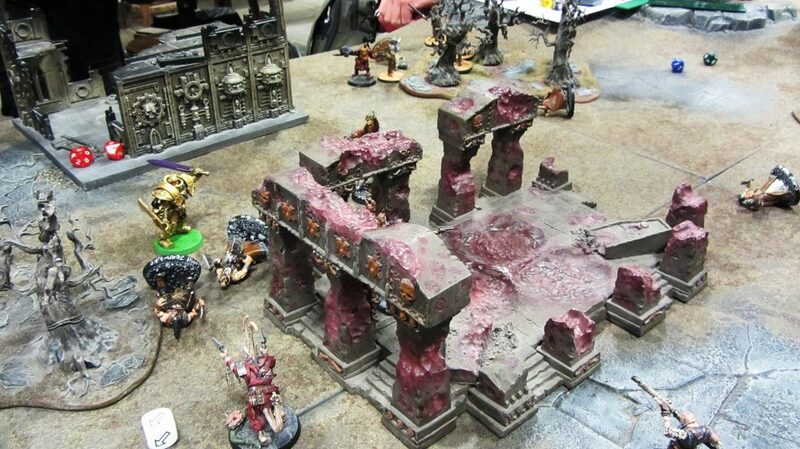 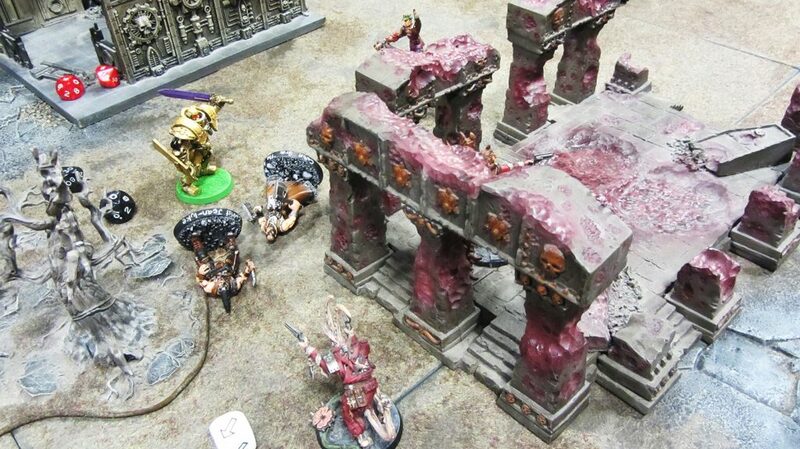 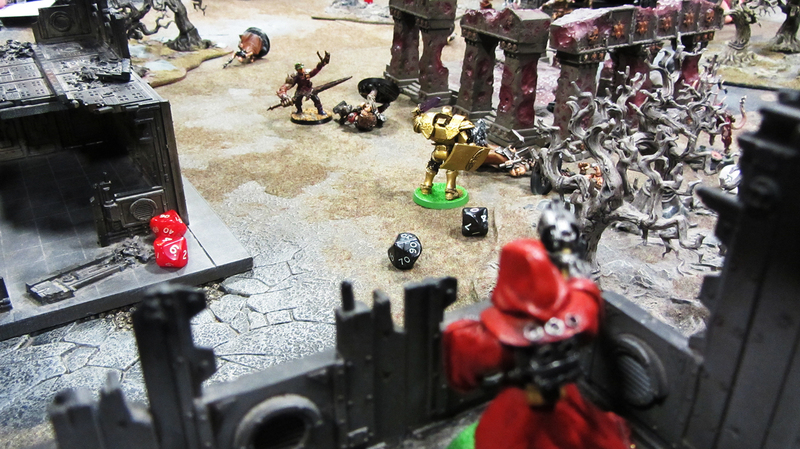 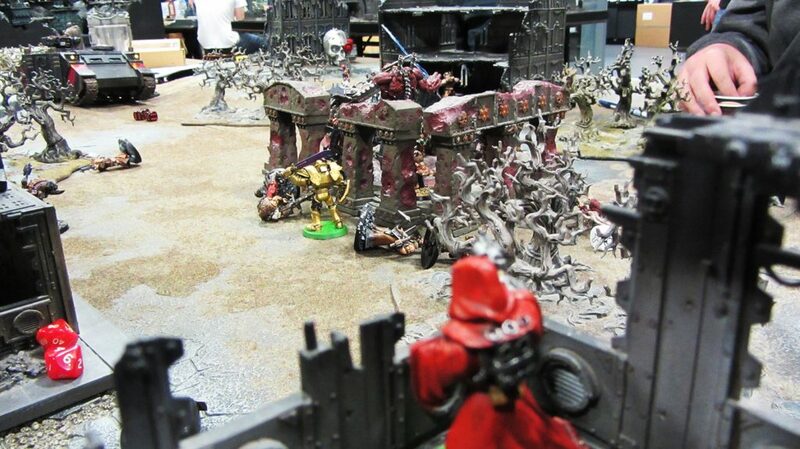 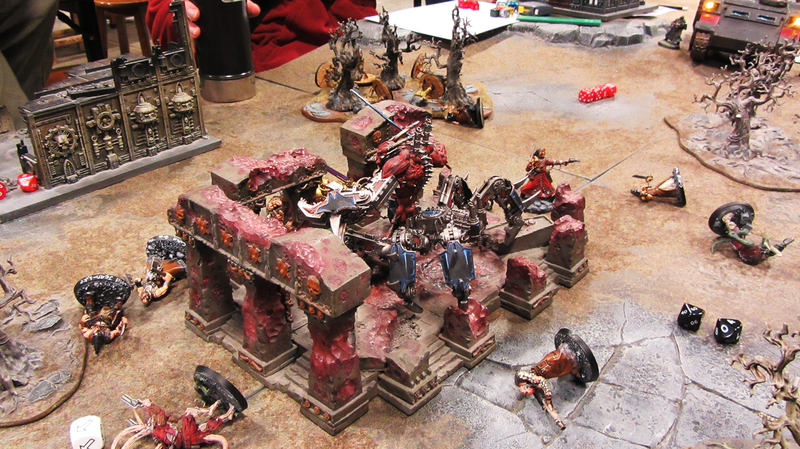 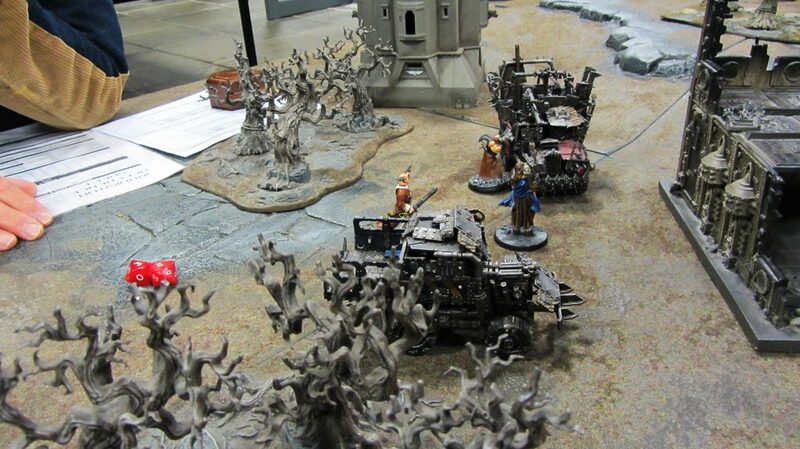 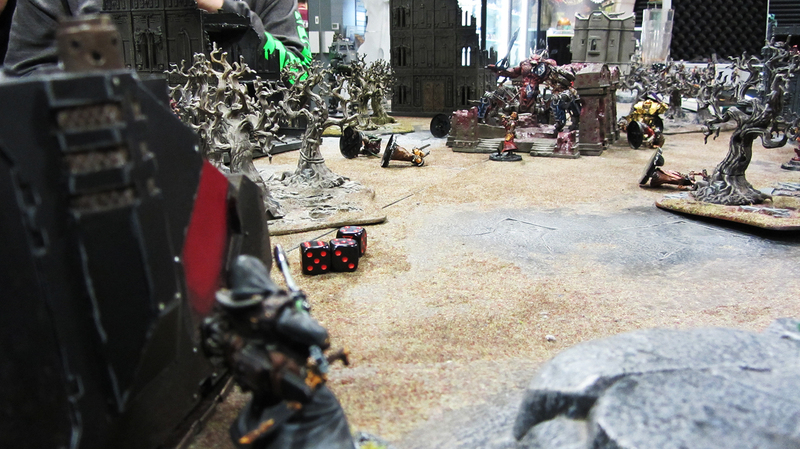 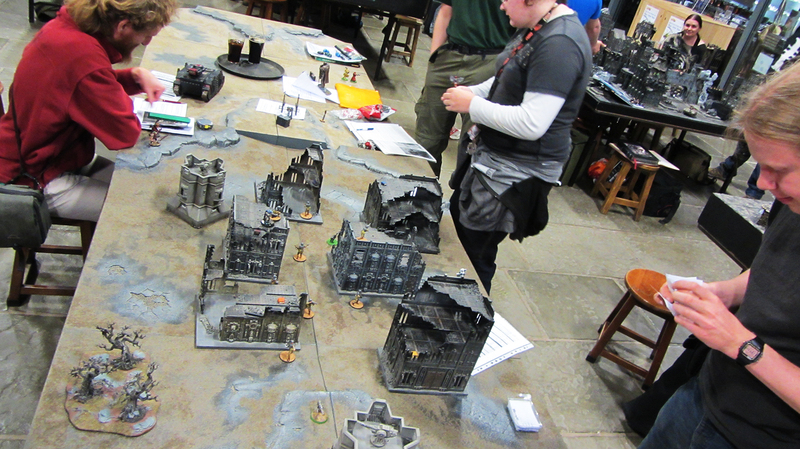 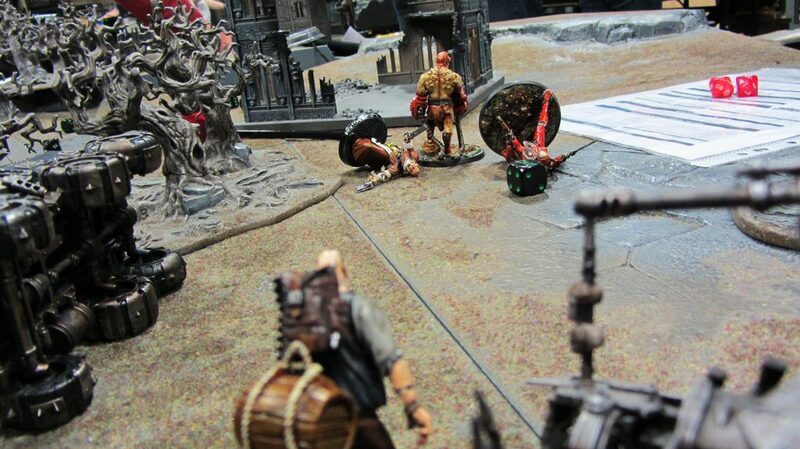 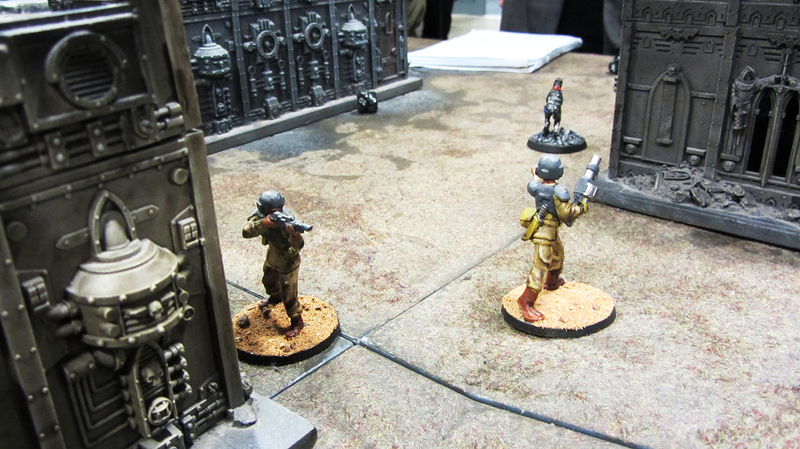 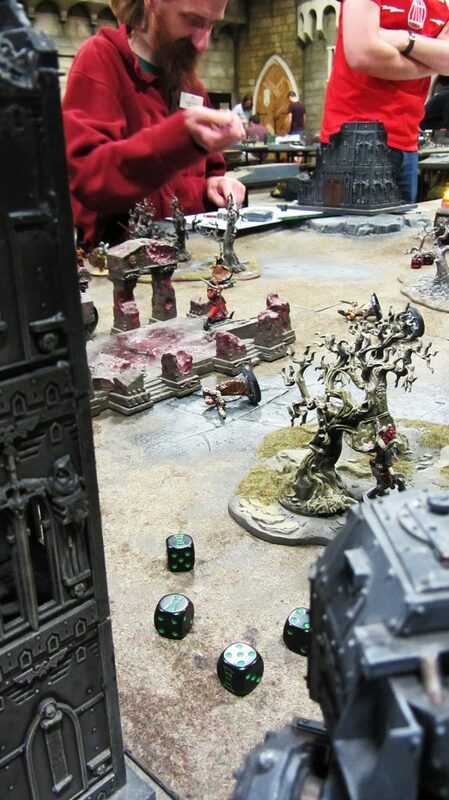 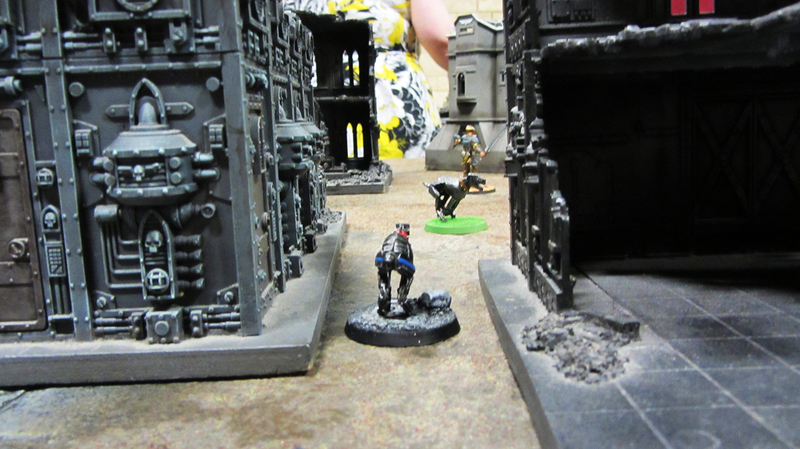 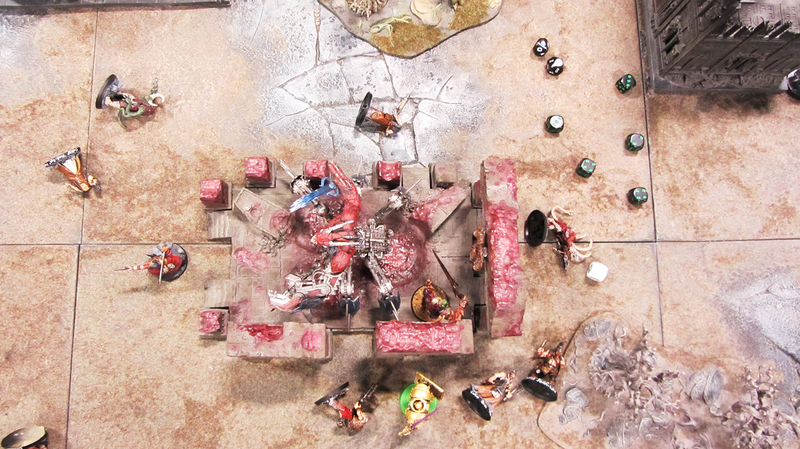 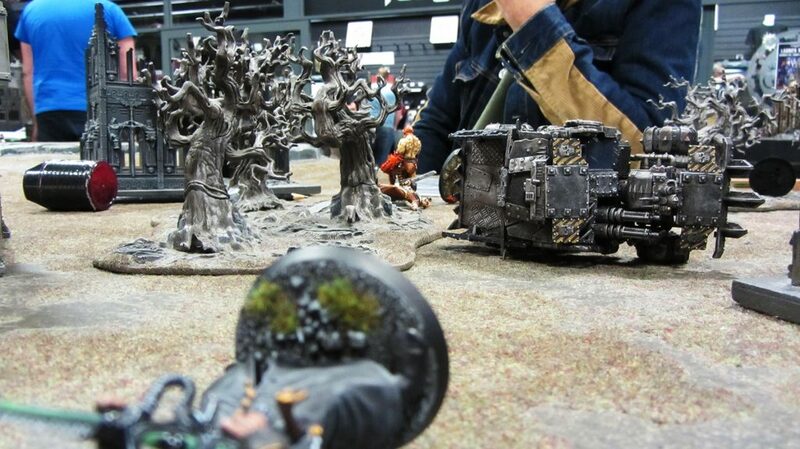 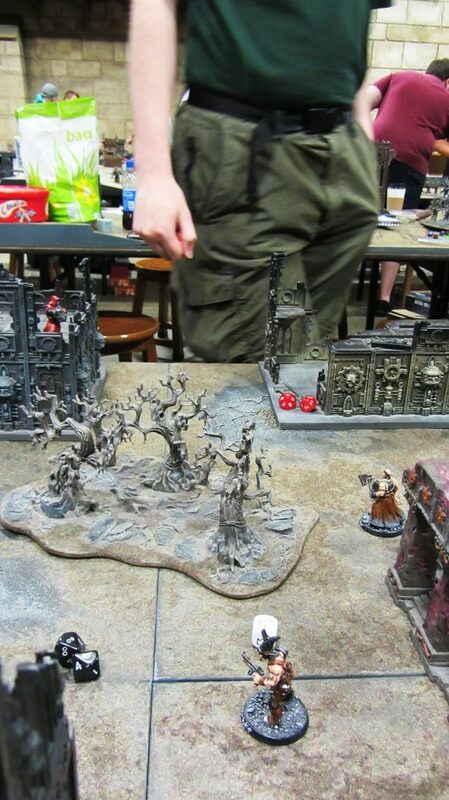 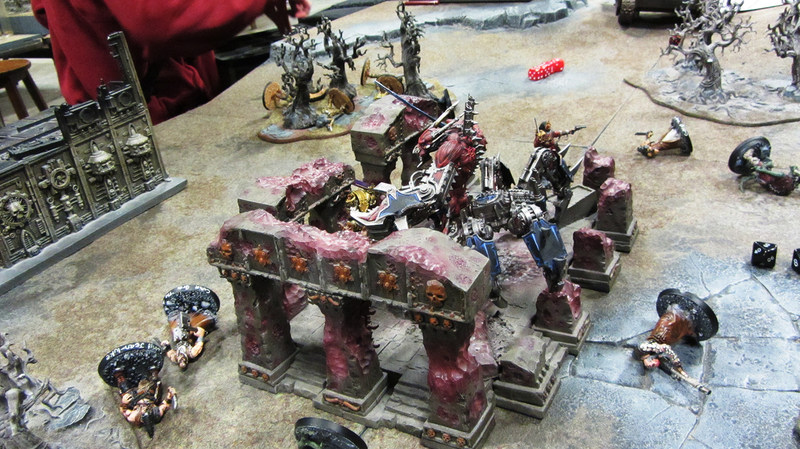 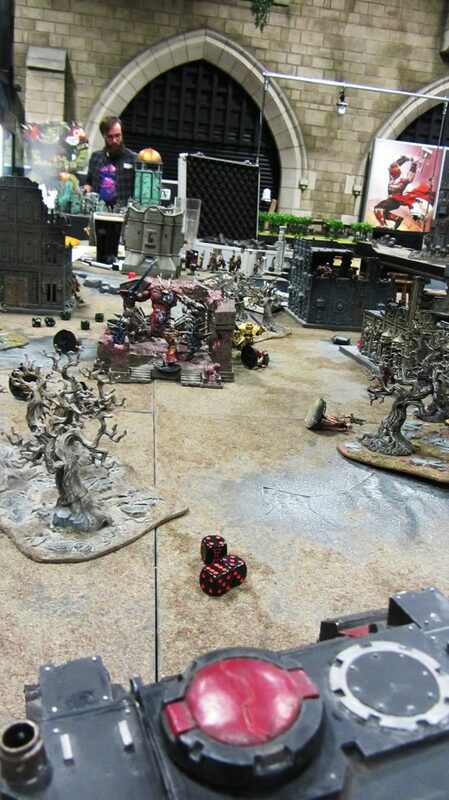 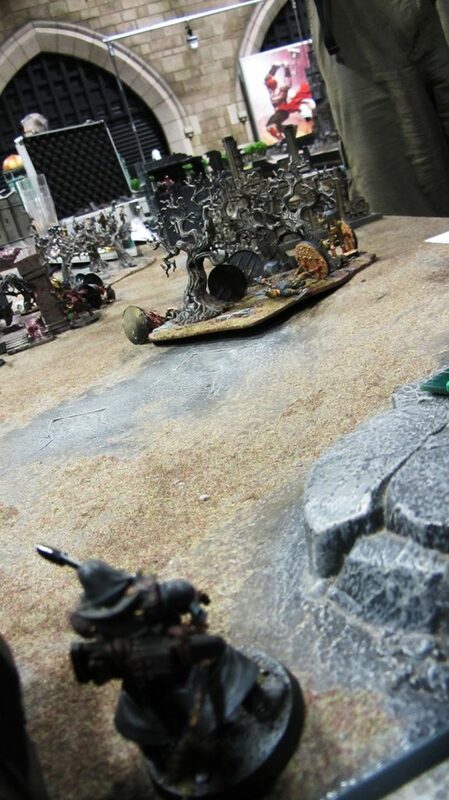 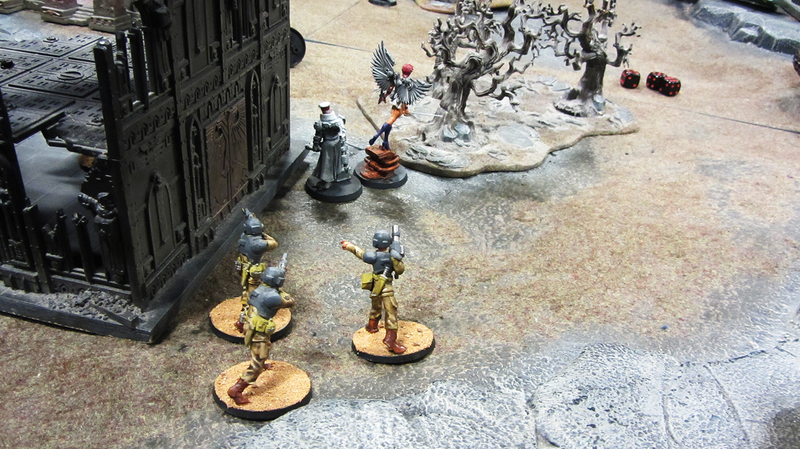 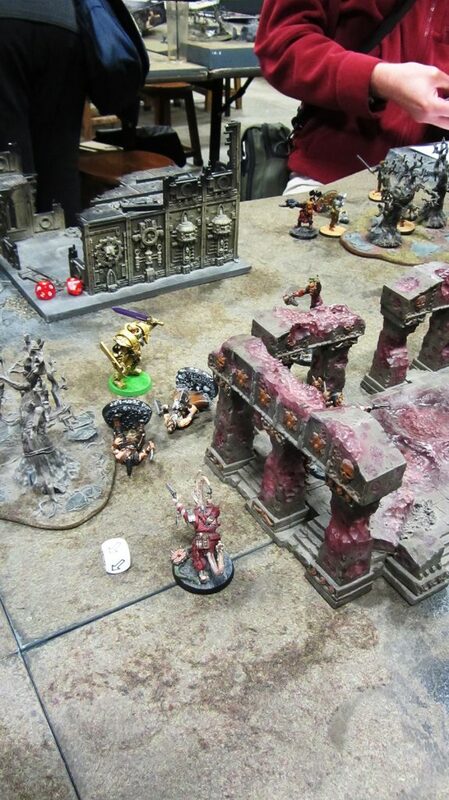 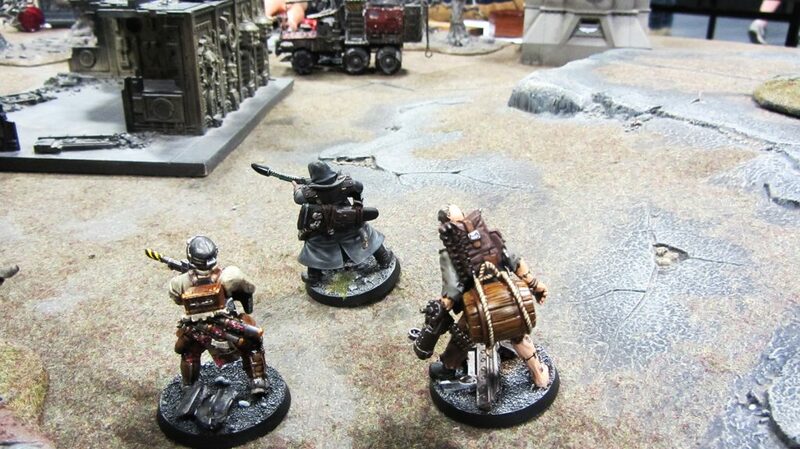 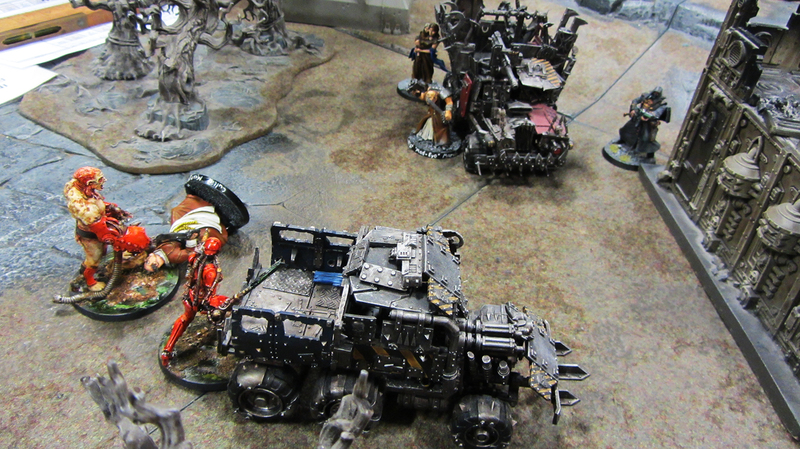 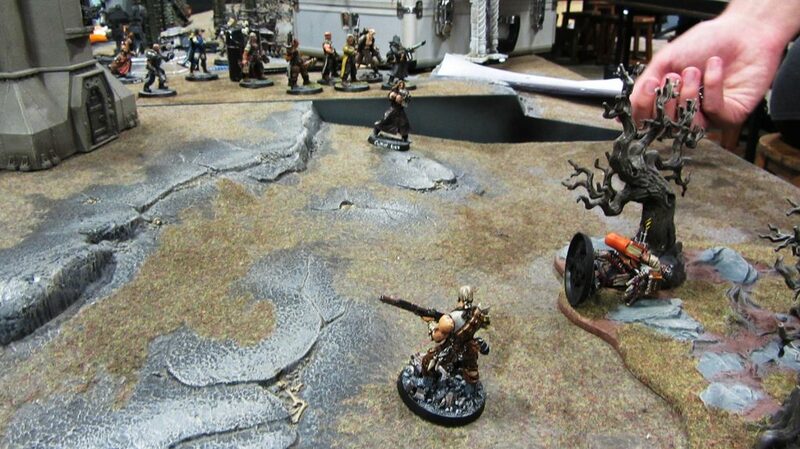 Korpik's men sneak out with the objective, only to be ambushed by the mad scribe himself! 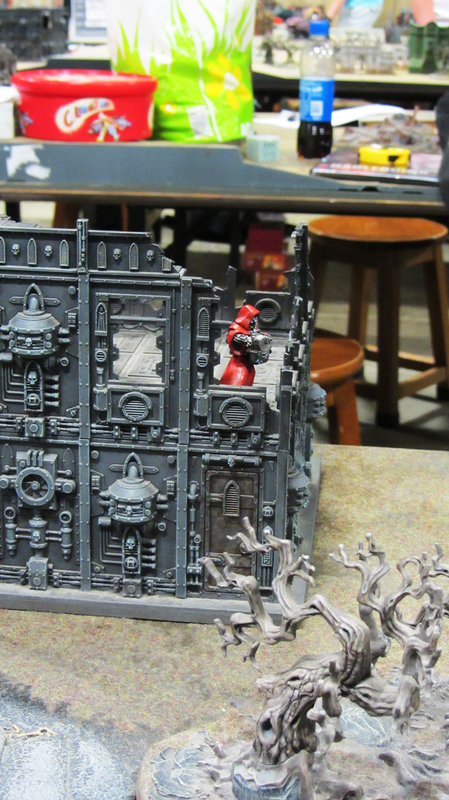 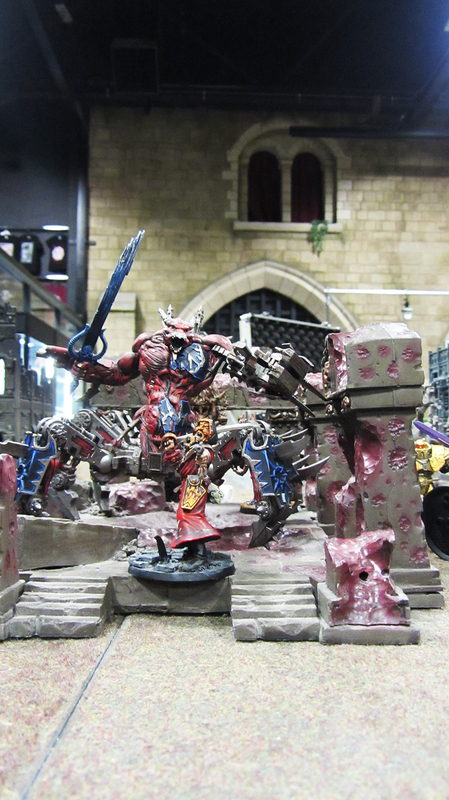 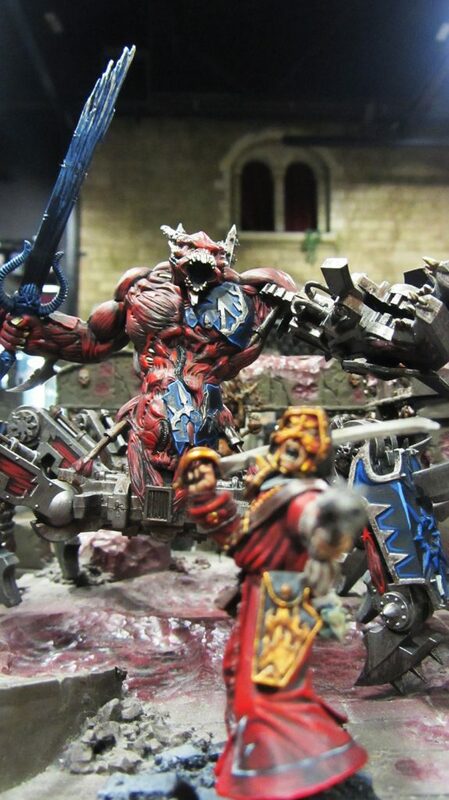 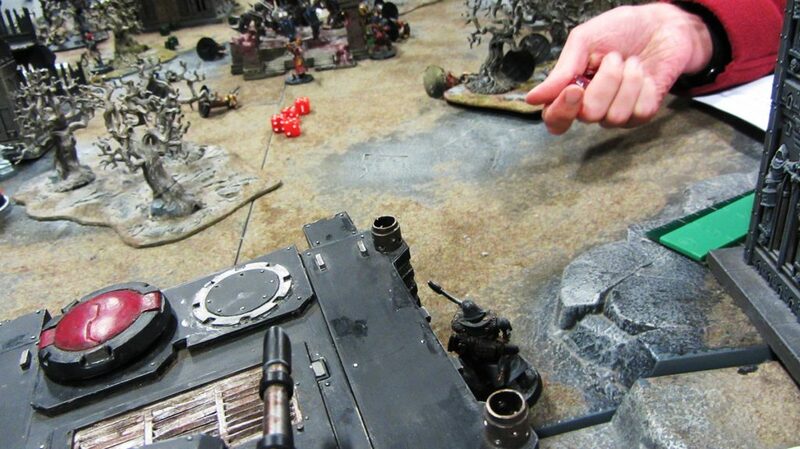 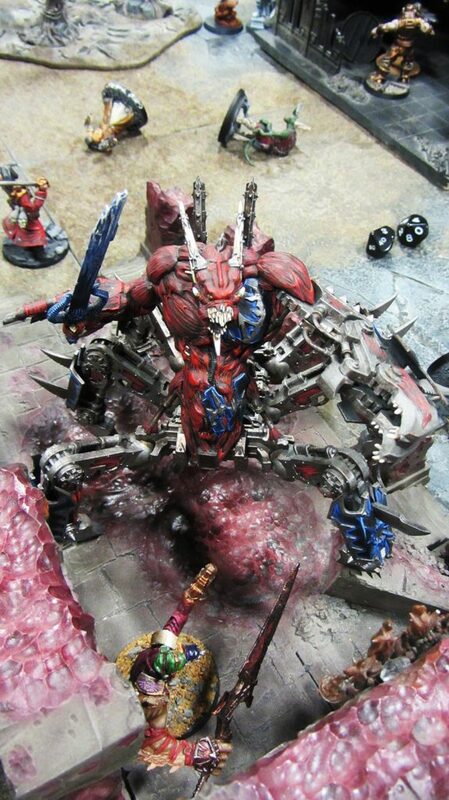 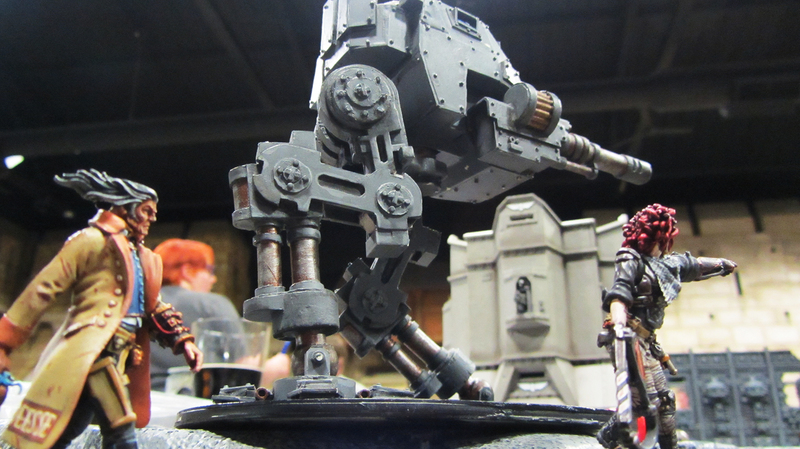 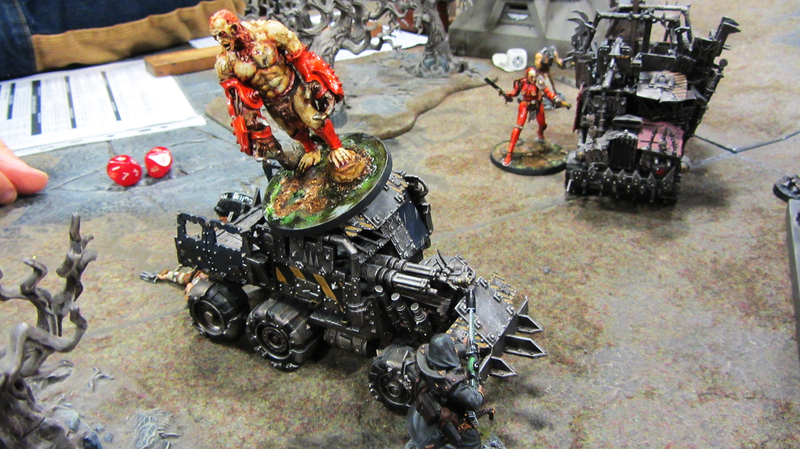 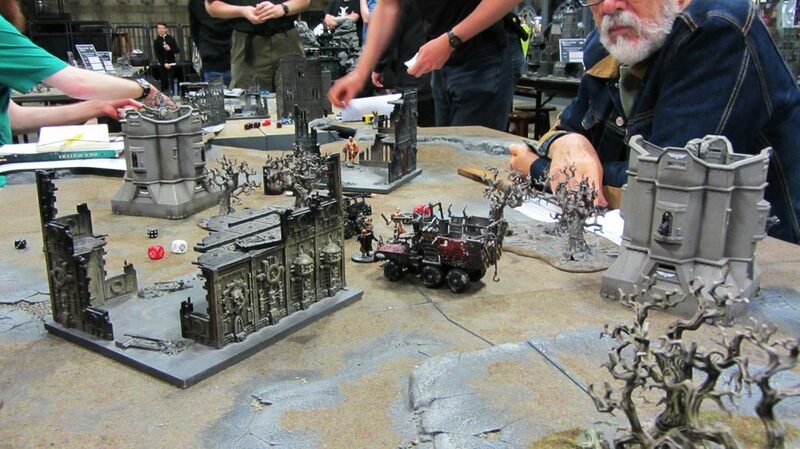 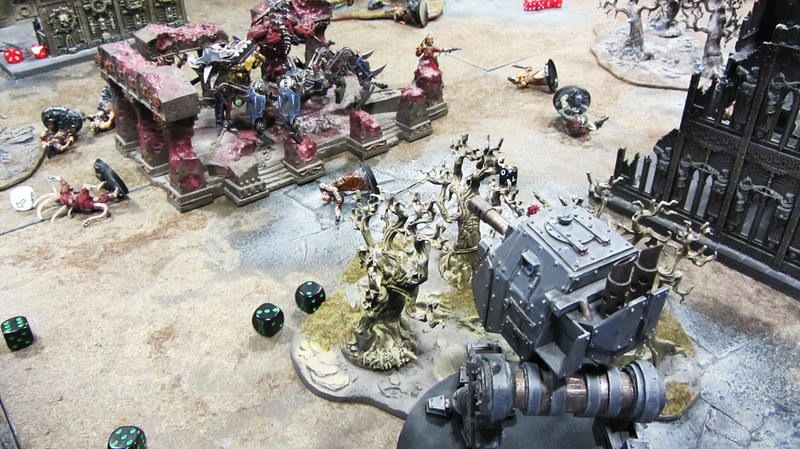 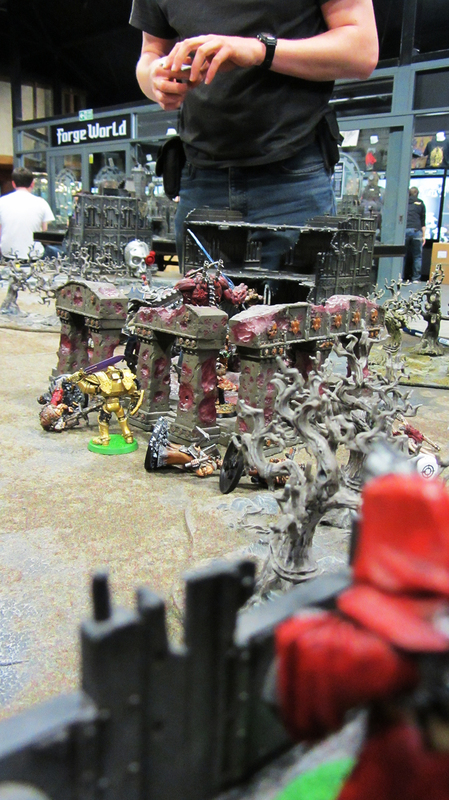 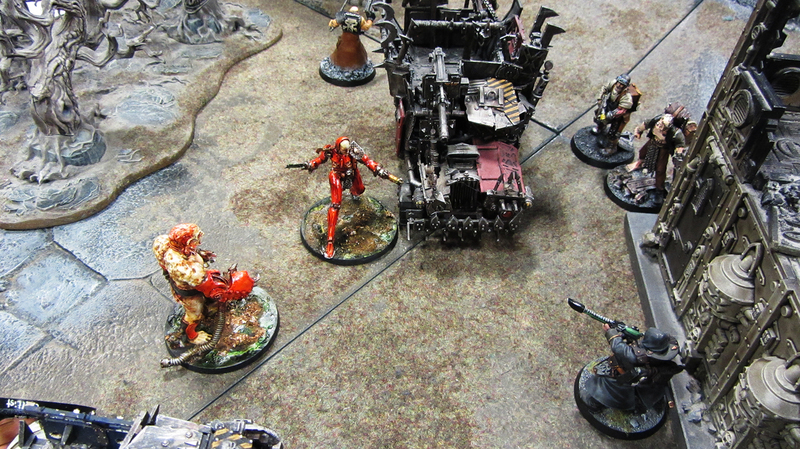 The death of the cultists spawns a hideous daemon engine! 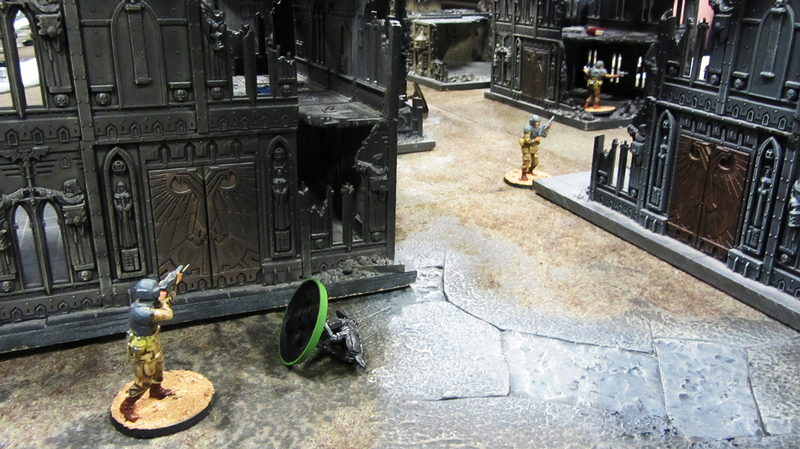 The creature is slain, but at what cost?